When facing a stack of job applications, it can be tempting to craft one rsum and cover letter and send them to out to multiple recruiters/hiring managers to save time. They wont know the difference, right? Wrong. Recruiters and hiring managers can spot a letter sent to multiple recipients from a mile away. Generalized sentences or lack of a personalized greeting are dead giveaways that can instantly turn a recruiter/hiring manager away from your application, no matter how qualified you are for the job. Why should a s/he take interest in you when you havent even taken the time to show true interest in their company? Disrespectful: Mass messaging shows a lack of consideration for the recipient. Not showing care and attention now can suggest that you might be that way on the job, as well. Unknowledgeable: By not even taking the time to research the company you are applying for, it appears you may not be aware of everything your desired position may demand of you. Lazy: This is probably one of the worst traits to you can exhibit as a potential new hire. Customizing your rsum and cover letter may be time consuming, but doing so shows you have a true dedication to the job. Unoriginal: Recruiters and hiring managers receive countless rsums and cover letters each day. If you dont use your application tools to present how unique you are for each position you apply for, you are missing a huge opportunity to show your worth. Remember, cover letters and rsums are your first impression with a recruiter/hiring manager. They can make-or-break your chances of advancing in the hiring process. Getting the job you want takes time, diligence and definitely doesnt start with the phrase, To Whom it May Concern. Heather R. Huhman is a career expert and founder & president of Come Recommended, an exclusive online community connecting the best internship and entry-level job candidates with the best employers. 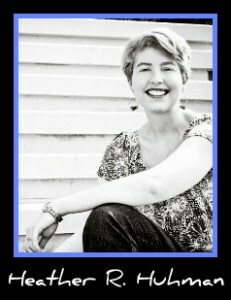 She is also the national entry-level careers columnist for Examiner.com and blogs about career advice at HeatherHuhman.com. The headline on your blog post drew my attention because we provide a tool which uses email marketing techniques to aid in a job search. I was pleased when I read it to find that we agree with ALL the points made in the post, but I would like to take this opportunity to make the claim that there are ways in which “mass” emailing can be useful during a job search. Certainly you should not send a form letter when applying for a position and each and every application should be tailored to the company and position being applied for. That is what you are addressing here. However, we have found that broader emails can be useful in reaching out to your network and keeping your friends and contacts informed regarding the progress of your job search and what you're looking for. If you don't let as many people as possible know what you're looking for, you are making limited use of your network. Our approach involves reaching out and politely and tactfully asking your friends and contacts if they'd be willing to assist you in your job search. If you have hundreds of people in your network, this initial email should probably not be customized to each and every person. Those who do not wish to assist you need to be honored in their request not to be part of your effort and be removed from your list. If they respond personally to offer assistance, you should send a personal reply back. Once you have received people's permission to help them out, you can then send occasional (but not too frequent) emails with information about what you're pursing and where you'd like to get your foot in the door. This approach to a job search may be very effective. You can do this using your standard email program or using a tool such as ours at http://JobCannon.Com. We manage the process so that you will not make any errors when people choose to opt-out and we provide templates to use as starting points for your communication. If you do use our tool, in the spirit of this blog post, we highly recommend that you customize our templates so that they sound like yourself and not like a mass email. Great post. Boo to the bloke spamming below. I was arguing about this with a 'mass mailing consultant' (or whatever they hell we call them) last night actually. He was trying to attract students for $300 upfront and $700 on completion. As far as I am concerned receiving a mass e-mail puts you in the bad bin and makes future applications harder. On top, if you don't have a job that's all you should be doing; and not hemorrhaging money either. You work what? 8 hours per day. 2-3 applications per hour is reasonable. That is 24 applications per day; or 120 in a normal work week. Save your money and put in some elbow grease. Great posting! and how true! after all we would not wish to be treated like that personally! Take the view that every letter is your handshake! @JobCannon I agree that reaching out to your network is a great move, you never know who knows of an opportunity or contact that can help you in your job search. I also think my site just got used for free advertising but I'm not taking down your post because I believe in freedom of speech. @Alex Your math skills rock. That's exactly what one needs to do… treat a job search as a full-time job. I prefer a more strategic approach in who I reach out to and I think it should be personalized…. I would pick up the phone. @woollylanc Resums are cool documents that serve as a career snapshot to make someone interested in you. It's like dating. If I don't like your pic I'm not calling to chat with you. Wow personalizing our resume!!! This could be the answer to solve our massive unemployment, sounds like if everybody do this, everybody's gonna land a job.